Actor-turned-politician Nandamuri Balakrishna has come under severe criticism after he thrashed a worker of the Telugu Desam Party (TDP). Netizens have condemned his bad behaviour. 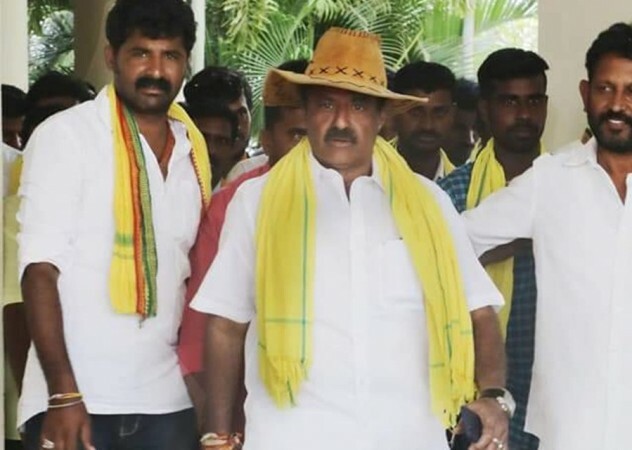 Actor-turned-politician Nandamuri Balakrishna has come under severe criticism after he thrashed a worker of the Telugu Desam Party (TDP) in public. Netizens have now condemned his bad behaviour. Nandamuri Balakrishna has a crazy fan following and is often seen losing his cool in public. He has created headlines in national media and faced a lot of criticism for his short-tempered nature in the past. But the actor does not seem to have learned any lesson from those incidents as he continues to display his bad behaviour in public. Balakrishna is contesting assembly elections from TDP in Hindupura constituency, Andhra Pradesh. He was campaigning at Cheepurupalli in Vizianagaram district on Sunday when he assaulted a TDP activist. According to the reports, the TDP leader lost his cool after the fan came too closer to a take selfie with him. The video featuring Balakrishna assaulting the TDP worker hit the internet and created a lot of stir on the social media on Sunday. The actor-turned-politician faced a lot of criticism from all section of the people. Several took to Twitter to condemn his bad behaviour and said he should be taught a lesson, by defeating him in this assembly elections. #Balakrishna needs to be taught a lesson. This is not the first time he raised hand on fans and party people. It is a shame to the people of #Hindupur and #TDP if he is voted back to power. Also, the party guy so beaten up should file a criminal complaint against this creature! Irrespective of what happened there, it is absolutely NOT acceptable to attack anyone. If a person cannot exercise restraint, should seriously rethink decision to contest for a public office. Very Cheap Attitude From #NandamuriBalakrishna ..
You are an MLA,not a Street Rowdy? ?